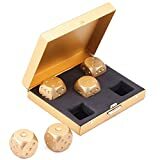 This set is in a clear plastic box, as in the picture. 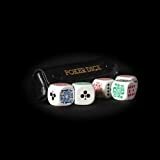 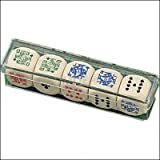 Pack of 5 Poker dice. 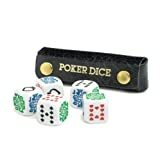 Supplied in a deluxe leather case.